Whilst I know many people have had a really positive experience at the Lucinda Ellery salon and with the Intralace system, as I mentioned in my last post my experience was much more mixed. When I went to get the system, my hair was very uneven, with some sections less than an inch in length. However I didn’t have any bald patches and my hair is naturally thick – which caused some problems. My adjustments would need to be done every five weeks, and my realignment after five months, significantly increasing the cost of having the Intralace. As it turned out, within ten days of each appointment the mesh and my natural hairline were showing at the front, making me very self-conscious, especially on windy days! Because of the thickness of my hair (ironic given that my hair loss was at this point impossible to disguise), I had a lot of hair panels sewn into the Intralace, with my hair concealed under the mesh. This meant that as my hair grew, the system sat further away from my scalp, making it look less and less natural. It also made my hair almost impossible to dry and difficult to style. Some of my hair was long enough to allow for extensions to blend in with the Intralace. These were attached with polymer resin bonds which were really weak and softened when I dried my hair, despite the care I took to only use conditioner on the mid-lengths and ends of my hair. The bonds would quickly flatten and widen, becoming more noticeable and frequently coming out, or shedding white flakes in my hair. As the sections used for the extensions were so big, as they came out they left noticeable gaps. The salon charged me to reattach each of these. Both the hair panels in the Intralace and the extensions shed huge amounts of hair. In the case of the Intralace this would quickly lead to bald patches on the mesh and I needed a new parting every five weeks. I was worried about the hair loss and felt guilty that I seemed unable to get away from this cycle of shedding, damaged hair – whether it was my own or someone else’s. Every time I went to the salon there was a problem and I was told off and given a lecture on haircare which made me feel terrible. I had the hair examined in the end by an extension specialist who told me that this was a ‘poor quality hair weft’ and likely to be Chinese hair, rather than the Indian temple hair I had paid for. This was backed up by what the staff at the salon had subsequently told me. I have heard from other salon clients that they have experienced similar problems and it does worry me that the salon weren’t completely transparent about the problems with the hair they use, particularly given the vulnerability of the clients. The prices they charge are at the top end of the market and the hair quality should reflect that. After five months, I went to my realignment appointment and after a discussion with the team, they decided to increase the number of hair extensions I had and replace the Grade 2 Intralace I had with a smaller Intralace Minima, which would cover the front of my hair and the parting. I was so excited to be able to see some hair growth, although I still had – and have – a long way to go. I was really proud to be able to progress to a smaller system and no longer have the mesh which was so hard for me to disguise. However, changing the system meant paying another £745, on top of the £2,095 I had paid for the Intralace system, as well as £250 every five weeks for the adjustments. After two weeks, my hairline was again showing underneath the system and I was feeling very self-conscious. At this point, I decided to go and seek a second opinion. I went to see an extension specialist, who to my total surprise was confident she could help me, despite the varying lengths and quality of my natural hair. She works regularly with film and television studios, often working with male actors with very short hair whose hair she extends to fit the roles they are playing, so the system she has developed allows her to place very fine, unobtrusive extensions right at the top of the scalp. I was nervous about the cost, given the amount of money I had invested with Lucinda Ellery but I decided at this point I had to cut my losses. The ongoing expenses with the system were so high: not only financially but also emotionally. I found the hair shedding traumatic given my history. I also dreaded each appointment at the salon. Each one uncovered a new problem, which I always felt I was blamed for. A full head of extensions cost £895 and comprised around 200+ extensions. The hair quality is beautiful – much better than my own hair! – and will last 16 weeks, with no appointments required, or costs incurred, in that time. The extension bonds are very firm, and there is no charge to reattach extensions which do come out. Similarly there is no charge to cut my hair in between appointments, making this system far cheaper than the Intralace. Best of all I now have one hairline and no mesh! For me, this feels much more comfortable and natural than the Intralace and I am no longer measuring my life in five week bursts between appointments. But what does this mean for other people considering opting for an Intralace? For many, I believe it offers a great solution to hair loss, to people with a wide range of conditions. I think it simply wasn’t right for my hair and an initial consultation with one of the salon staff would have confirmed this. (This wasn’t my experience as you can read here). To those thinking about the Intralace, I would still encourage them to consider it as an option. Styled properly, it is more natural looking and certainly more secure than a wig. The financial outlay is considerable but the costs are transparent, so this is something you can plan for. As for the quality of the hair, for me this is the biggest issue but also something the salon staff should be able to work with you to resolve. So, are you thinking about a hair replacement system, or do you have one already? Let me know your thoughts below. It is sad that if you hadn’t confronted/stood your ground with the first salon, they would have continued to take your money. It is also a shame you didn’t find the alternative before you spent a fortune with LE. May I ask, did you ever consider just wearing a full wig? Could you please let me have the contact details for the lady that eventually managed to sort your hair out for you please. At least you managed to find an alternative. I too have an intralace system and are not happy with the same reasons as you have stated above. i would love to see the woman you have moved to for your new extensions. would you be able to send me her contact details. Sorry to hear you’re having problems! It would be great to chat – what’s the best way to contact you? Great blog! I too would be interested in finding out who your hair extension lady is. Thank you! Can you drop me a line through the contact form – would be great to catch up! Hi, found your blog on a google search. I have a question re: the removal of your system. Would be so grateful if you could email me – thanks! Sure – you can email me directly via the contact me page. Hope to hear from you soon! Hi, I would love too to know the lady you’ve moved to for your new hair extensions. Would you kindly give me her contact details, please? Thank you so much. Thanks so much for reading my blog! I got the connect hair extensions – just drop me a note if you’re having trouble finding your local salon. Hi. Can you contact me? I have recently visited Lucinda Ellery and your blog helped me to decide the lace system is not for me. However I would like to know about the extensions. Look forward to hearing from you. HI Can you advice please! I am looking to visit Lucinda Ellery in Birmingham and your blog helped to have a second opinion about the system. I am still not sure if the lace system is for me or there is cheaper option can you please send me the contact details of the lady for extensions ? https://m.facebook.com/pg/connecthairextensions/about/ – here you go Jenny! Lots of luck and thanks for getting in touch! I have just become a client of LE and found myself with the full intralace system which is not what I could afford or originally enquired about. I’m sure the minima could have suited my purpose but, as I kept telling the team at the salon, I don’t know what to ask for or how it will turn out. I’m not the expert. If things go wrong then say “you agreed to have it” or “you chose it” but I didn’t feel that was the case. I was in their hands and when the final result made me look like a freak wearing a heavy wig I was devastated. They have addressed the situation and redone the system for me but I’m not convinced and only on day 3 of having it. I have a suspicion that it’s not for me and I’ve been over-sold. Thank you. Yes I have and the whole system was redone, re-coloured and re-cut but I’m just not sure it’s for me. The team at the salon were amazing and couldn’t do enough to help but the problem is that you can’t know what it’s going to look like until it’s done and your money has gone. I have to put it down to experience and hope I learn to live with it. I hope things get better soon and please let me know if there is anything I can do! I too would like to know about the lady who solved your hair problems, I have an intralace system and the cost is getting ridiculous, 2600pounds in 6 weeks!!!! I have recently had hair extensions from a place in Newcastle and I think they are too heavy and thick for my hair. Please can you let me know the lady you have mentioned so that I can ask for help. The Ines that I have are pre bonded and every bond is a different size. I’m worried about the damage it may cause my fine but strong hair underneath. I have been to Lucinda Elbert and had extentions in the past and recently I visited them again but I could see a real money making side to them almost making my hair situation worse than what it is. Thanks so much for your comment and for reading my blog! I’m sorry to hear about the problems you’ve been having. I got the Connect extensions which I was really happy with. Is that helpful or is there any other info I can share? I read your post with great interest on one of the hair forums and followed your link to your own page. I have experienced similar problems to your own but thankfully on a less extreme level with Hairsolved. The fact that I couldn’t feel the water reaching my scalp through a supposedly breathable mesh really disturbed me as a clean scalp is essential to maintusung the hair you have left! I have genetic hair loss and have suffered from it from a painfully early age (16 😔). It left me so traumatised it upsets me to say it has defined me as a person resulting in me becoming a virtual recluse. Although initially for the usual reasons I loved my system the unhealthy nature plus the extortionate costs led to me having it removed. I am know on the lookout for something more natural and akin to the extension lady you mentioned. I would love for you to contact me to inform me further. Finally, thanks so much for your post. I know how hard it is to acknowledge to yourself and loved ones the pain of hairloss so for you to blog about it is very brave. I hope at some point to be in a positive enough place to be able to contribute to this topic in future also. Hi Naz, I currently use LE but I am thinking of making an appointment at hairsolved, are they no good? Hi Naz, Thanks so much for visiting my blog and for your very moving and thoughtful post! I’m so sorry to hear you’ve been so badly affected by your hair loss. I found Connect Hair Extensions helped me in the end and I finally am starting to feel like ‘me’ again. Please do let me know if you’d like to chat – I really do understand how hard it can all get. HI there, I am currently a client at LE and very unhappy having been a client for some 8 years. I am looking for somewhere else who do similar to an interlace, but without the excessive charges. Can anyone help? All seems very focused on the charging and original ethos of the place seems to have been forgotten. Hi Rachel, I’m so sorry to hear you’re so unhappy with your experience! I’ve heard of lots of people who’ve set up in competition to LE but not experienced them myself, so don’t feel confident recommending. Can anyone on here help with any advice? I have been considering some extensions to thicken my thin hair for a while now and have been considering Lucinda Ellery. I read with great interest about the expert in extensions you went to. Really interesting that she could apply extensions to the top of your head. I would love to go for a consultation with her. Please could you let me have her details. Great blog! Hi Elliese, Thanks so much for your comment: I’m so glad you’ve found such a natural looking solution which is working so well for you! 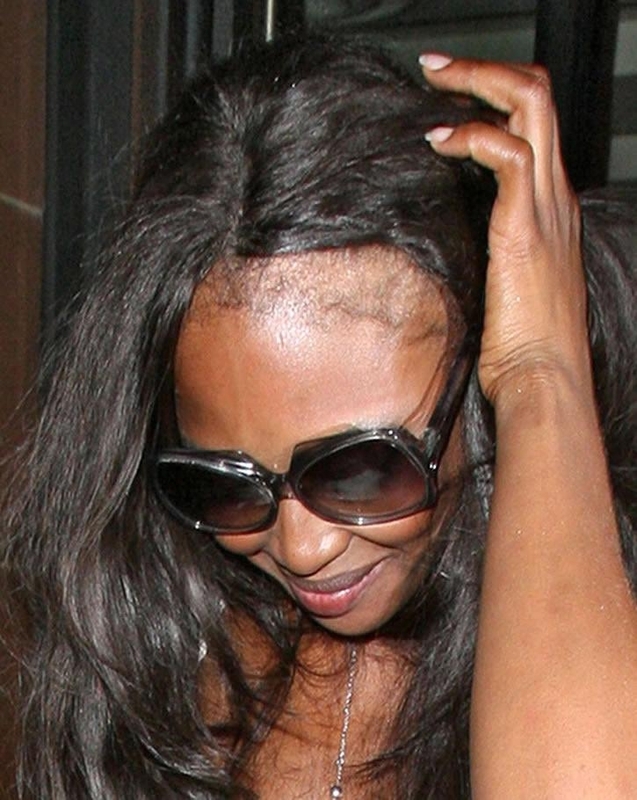 I have alopecia and I’d like to ask you where did you purchase your wig? Elliese thanks for giving me hope. I have frontal fibrosing alopecia and 4 weeks ago I was fitted with the intralace system at Lucinda Ellery. I cannot cope with the bumpiness, heavy front, dry hair and the time it takes me to remove the hairline tape. I didn’t realise how restricting it would be regarding style etc. Very disappointed Can you please tell me where you get your wig made and how it is attached etc. I am in Scotland but would happily travel to get a quality wig. Hi, I’m a client of LE currently, I’ve only had the Intralace system in for 4 months and the hair isnt manageable. Its so dry and keeps falling out the mesh. Could you please give me the details of who you use now? Hi Amber, Thanks so much for reading my blog and getting in touch. I’m so sorry you’ve been having problems. I got the Connect Hair Extensions – just shout if you need any more info and lots of luck! Thank for getting back to me. Do they have a website or older they just on Facebook? What sort of bonds are they? My hair is thinning mostly on top. Would this help? I think it’s just Facebook but there may be other salons that offer the same system. They use glue bonds which are very very fine so they can in theory go right up to the hairline. If you ask for a consultation they will be able to tell you if the system is right for you. Lots of luck and let me know how you get on! I am so pleased to have found a blog that talks about hair systems and the issues associated with them. Thank you SplittingHairs. I have recently had an LE intralace fitted and am currently working through the issues. Or not. I’m not ready to give up yet, but I have to say that I am so far disappointed with the effect. Maybe my expectations were too high?. It has been an extremely emotional experience for me, not really helped by the service at LE. I will update my comments as my contact with LE continues. Good luck everyone. That sounds similar to my experience with LE. I have recently managed to find another supplier who can actually deliver the hair I want without the extortionate price tag so thankfully it’s goodbye LE after 18 months of bad hair days.